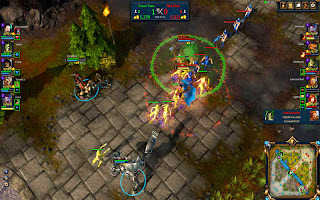 Battle for Graxia is a free-to-play MOBA where two teams enter action-packed and strategic multiplayer combat in the same way as in game such as League of Legends or Dota 2. At launch Battle for Graxia offers over 25 immortals with new characters added regularly. Besides PvP, this game includes PvE, an interactive replay mode, a player reputation system and achievements, among other features.